Hello! 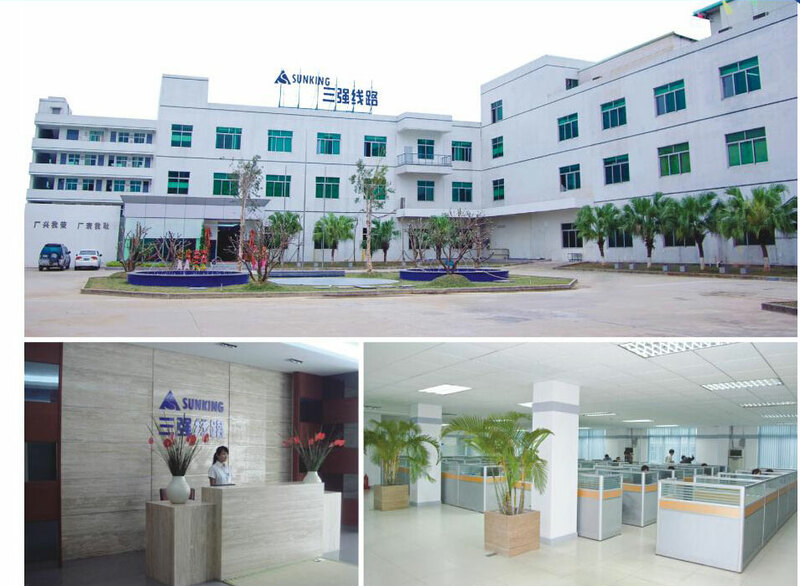 Welcome to visit Sunking Circuits Electronic Co., Ltd.
Huizhou Sunking Circuits Electronic Co., Ltd, founded in 2009, a private enterprise specialized in manufacturing kinds of pcb, from simple 2L to complex multi-layers, from prototype, small&medium volume, big volume, including 2-28L FR4, 2-16L high frequency pcb, single and multi-layers metal pcb, HDI prototype and small volume etc. Own independent industrial park, factory area covers 20,000m2, monthly capacity 40,000m2, 500 employees, initial investment 68 million RMB. Involved industries: optical, automotive, telecommunication, industrial control, LED, consumer electronics etc. ISO/TS16949：2009 as quality management system and ISO14001：2004 as environment management system are implemented, take “7S” as site management ways to realize comprehensive quality management. Our factory is well configured the latest computerized system，also many automatic equipments, which allow us to operate with high precision and efficiency. In order to achieve the best production effect, we also utilize the latest technology to optimize our production processes from drilling to plating, from etching to soldering. Using these systems and andvanced technology makes us easily cope with any kinds of pcb our customer required, obviously reduce fraction defective of big volume orders, effectively guarantee products uniformity. We have enough capacity and capability let our customers enjoy full and satisfactory pcb service as design improvement, quick turn service, special material supply etc. In house, our factory is equipped with all kinds of surface finishing production lines, including HASL/HASL LF, OSP, ENIG, Immersion Silver/Sn, gold finger plating, hard gold plating, resin plug vias, peelable solder mask, can guarantee high-efficient join with prior and next processes, which plays a key role to shorten lead time, quality control during the whole production and reduce outsource risk. Factory has a large standard clean workshop, air shower sytems to ensure clean and dust-free production environment. Equipped with advanced and full sets of test instruments, including AOI tester, Automatic self-tester, Impedance tester, Ionic contamination measurements , Two dimension measuring instrument, Metalloscope etc. These test instruments can guarantee the boards delivered to customers are all qualified. Sunking Circuits, “Self-confidence comes from profession, creditability and mutual benefit is the basis of long time cooperation”, we advocate “economy, pragmatic, good faith, innovation and dedication”. Sunking Circuits realize stable turnover increase since 2009, 2015 realize 420 million RMB turnover successfully. Welcome new and old customers come to visit our factory and talk cooperation. 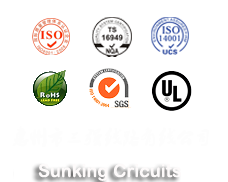 Sunking Circuits will pull together with all partners to create beautiful future.